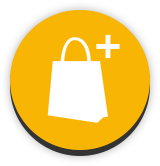 Use the shopping cart of museoteca if you will purchase products from several museums, you will save time and will get shipping discounts. 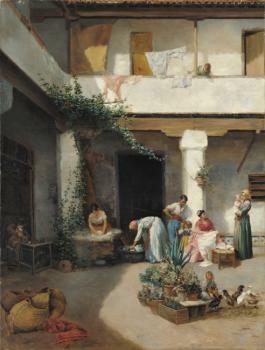 The setting of this painting, which forms a pair with Washing in the Courtyard, is evidently more decorative in intent, given the emphasis on the more colourful and anecdotal details that led this artist?s genre scenes to be greatly appreciated in his day. As a counterpoint to its companion piece, the scene takes place outdoors. 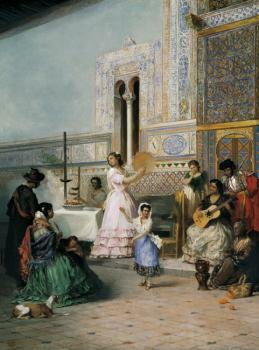 Indeed, here the intimate, domestic calm of a family gathering is replaced by the bustle and conversation of people in the street, and the sobriety of the modest architecture of the courtyard by a typical intersection of streets in the historical part of Seville showing the corners of the oblique façades of the houses. Where Calle Conteros meets what is now Calle Argote de Molina, some gypsy women have set up a stall sellingrosquillas, ring-shaped fried pastries or doughnuts, invading the road with their equipment. In the shadow of a porticoed house, a couple engage in lively courtship seated at a table behind which is visible the pretentious sign of a barber?s shop, which reads ?Gabinete / de afeitar y cortar? [cabinet of shaving and haircutting]. 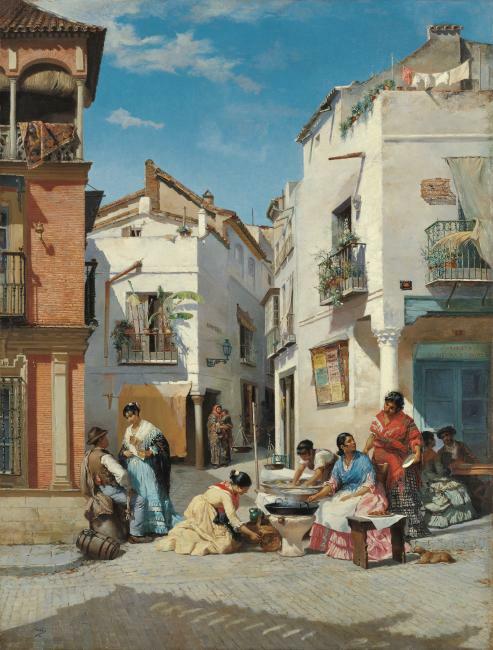 On the opposite corner a girl, coquettishly dressed in a mantilla and fringed shawl and wearing flowers in her hair, converses with a water seller seated on the ledge. A woman, most likely a beggar, holding a sleeping child emerges from the entranceway in the background that is shielded from the sun by an awning. As is evident from a comparison of both paintings, here Wssel shows even greater concern with refining his precise, analytical drawing technique, and his focus on the minute details that are scattered all over the composition attests to his astonishing powers of observation. Wssel depicts the group of houses with a picturesqueness steeped in local colour, as if the backdrop for a comic play, paying attention to all the objects that make up the scene, beginning with the noble architecture of the brick house on the left side, whose characteristic esparto blinds are drawn. The much more modest building in the background has a drainpipe on the façade, although it is the building on the right in whose details the artist takes delight. Looking carefully at the notice board on the façade, it is possible to read the bullfight poster and two posters advertising two boats called ?SEGOVIA? and ?LAFITTE?, most likely for passengers or cargo at the river port on the Guadalquivir. The painter displays particular virtuosity in details such as the flowerpots, the washing hanging to dry, the shading of the cage and the palm branch hanging from the balcony of the main façade. Nevertheless, the most striking feature of the scene is the doughnut seller?s stall, which Wssel reproduces in full, with the various pots and pans of these typical street stalls. Everything ? from the bench that is a makeshift shop window, with a napkin serving as a tablecloth on which the freshly made rosquillas lie, to the portable cooker fanned by a girl, the large earthenware bowl where another kneads the dough and instruments such as the scales, the basket and the pitcher ? is portrayed with evident realism. But where Wssel is most at ease is with the human figures, which account for much of his output and which he always endows, even in everyday scenes of this kind, with a solid and monumental presence. This is due to his academic grounding, which in this case is combined with a special talent for capturing different folk types and a particular sense of the decorative in the detailed and colourful handling of their clothing, all of which, once again, underlines Wssel?s special skill in this genre. ©2014 Museoteca.com. These pictures are exclusive and original which reproduce with maximum faithfulness to the originals. Pictures and its related information are the official of the museums listed in this site.